‘Health kiosks’ within Lloyds Pharmacy stores. The kiosks are “interactive touchscreens and printers that allow customers to browse its entire product line, place orders and pay for goods via credit card”, says Christopher Ratcliff, Deputy Editor at Econsultancy. Macy’s iOS app Shopkick that alerts the customers who enter the store about deals and items they may be interested in. 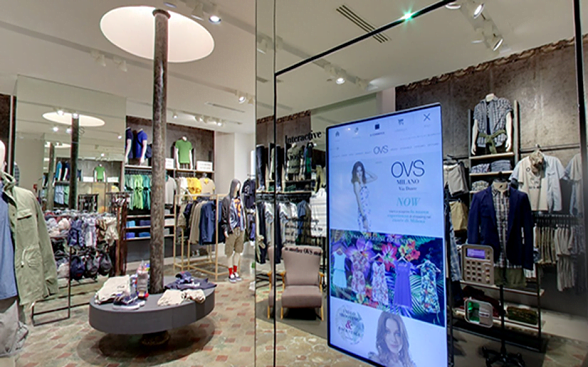 The OVS Digital Experience corner within the OVS flagship store in Via Dante. 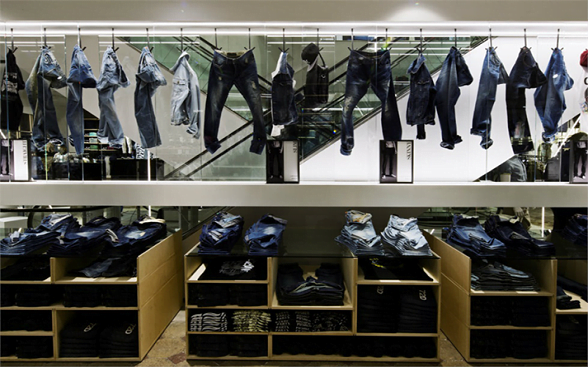 It gives customers an omni-channel experience that includes “a new virtual changing room, sales assistants supporting clients with iPads, multi-media totems and click-and-collect services” says Maria Cristina Pavarini, Senior Features Editor at Sportswear International. We have looked at how the OVS Via Dante store serves as an example of how e-commerce, digital marketing and retail can be successfully merged to deliver a unique customer experience. March 2015 issue of Design: Retail Magazine featured the store as one of 10 retailers worldwide “who are challenging the paradigm with thoughtful, inspiring and new ideas.” The three-storey boutique spreads over 900 square metres with a large wall mirror with light cuts connecting the floors. The new architectural design by Vincenzo De Cotiis Architects brings together new expressive codes such as the small, free‐standing furnishing units, and pre‐existing features on the first floor that have been taken back to their original colours. The OVS Digital Experience corner is situated on the first floor. It was designed by agencies NARAI and Nuvò. 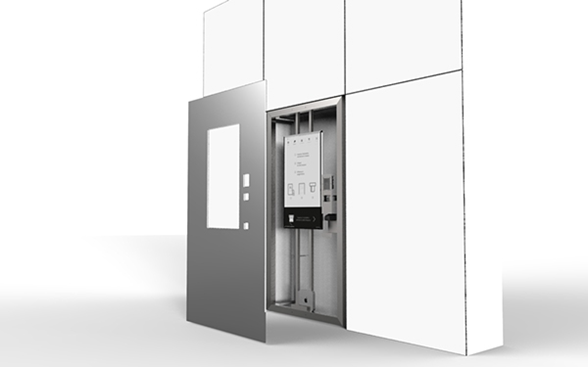 The interactive Kiosk enables customers to read the bar code of an item of interest and immediately verify its availability, along with sizes and colours. Additionally, they can purchase and pay by credit card, and ship the product home or pick it up at the check outs, says Monica Gagliardi,e-commerce and CRM Manager of the Gruppo Coin. OVS partnered up with Google Enterprise to make this a reality. This article is based on the official information surrounding the OVS Via Dante store.